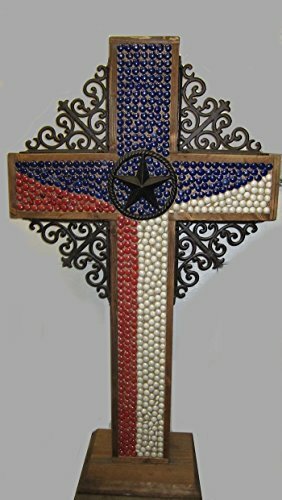 Glass beads add color to these amazing handmade wooden crosses. They can be made to stand alone or hung on a wall. These designs are customizable and made to order. We can meet your need, whether you want one cross of 6 dozen. We make various designs and sizes.